The Kingdom was founded in 1932 by Abdul-Aziz ibn Abdul-Rahman Al Saud and is the largest state in the Arabian Gulf by land and population. Oil was first discovered in 1938. Nowadays Saudi Arabia produces ten million barrels of crude oil a day and has the world’s second largest oil reserve. Saudi Arabia is rich in culture, heritage and natural beauty. Common expat holiday destinations include the beautiful Mada’in Saleh, desert driving in the red desert close to Riyadh, mountain touring in Al-Abha region and scuba diving in the most preserved parts of the Red Sea close to Jeddah. On average expats spend 6.9 years in Saudi Arabia, and more than 80% of expats living in Saudi Arabia report much higher satisfaction level with the state of their current economy than expat across the world. Large numbers of expats work as engineers, IT specialist, doctors, bankers, teachers and project managers for construction. Expat compounds provide great level of security, recreational opportunities. Expat packages on top of generous pay and bonuses offer housing allowance, company car and yearly flights to their home country. 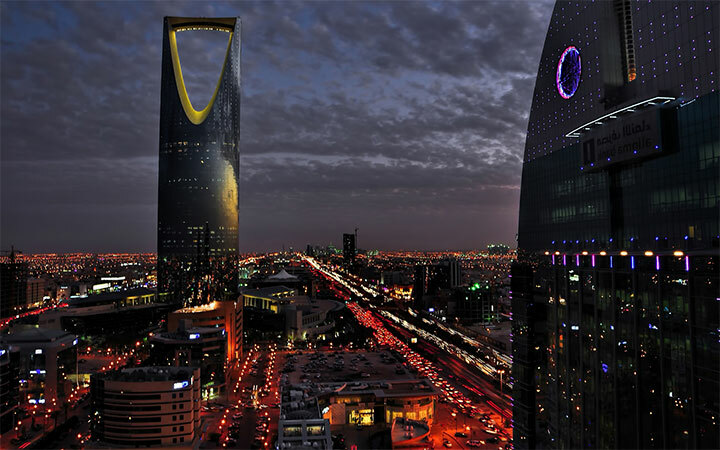 Expats highlight diversity as an unanticipated benefit from living and working in Saudi Arabia. Saudi Arabia also finished at prestigious seventh place on the raising children abroad league. Alcohol and pork meat is forbidden in Saudi Arabia. Women are also not allowed to drive.